Turbomachinery is synonymous with highly productive equipment, high costs and high volumes of lubricant usage. For this reason, lubricant contamination control is critical for the reliable operation and long life of these machines. A good contamination control strategy not only will identify potential contaminants but also determine their source and establish methods to control and measure them consistently. Defining cleanliness targets or maximum concentration levels will be important in selecting the appropriate contaminant removal approach. This article will discuss common contaminants that can be present in turbomachinery, such as solid particles, water, air, heat and varnish, as well as strategies that can be implemented to control them. Solid particles can originate from the machine’s environment, be produced internally from the machine’s operation or be introduced into the machine during assembly, commissioning or maintenance activities. These particles can be harmful based on their size, hardness, weight and angularity. They may create abrasion in sliding surfaces as well as surface fatigue (pitting) in rolling contacts. Very small particles (less than 5 microns) can even cause components to stick when tolerances are narrow, such as in servo valves. Solid contaminants can also generate more particles as a result of machine wear. Depending on their composition, these types of contaminants can be monitored by different means. Particle counting is the most representative test for measuring the presence of solid particles. Results are generally reported based on the ISO 4406 standard. For metallic particles, elemental analysis, ferrous density testing or a patch method can be employed to observe particles with a microscope. Elemental analysis and a patch method can also be utilized for non-metallic particles. Organic particles (insoluble suspensions) can be characterized with Fourier transform infrared (FTIR) spectroscopy. 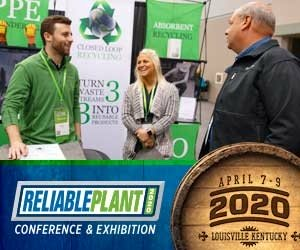 Be sure to define your cleanliness targets and discuss them with the original equipment manufacturer (OEM). 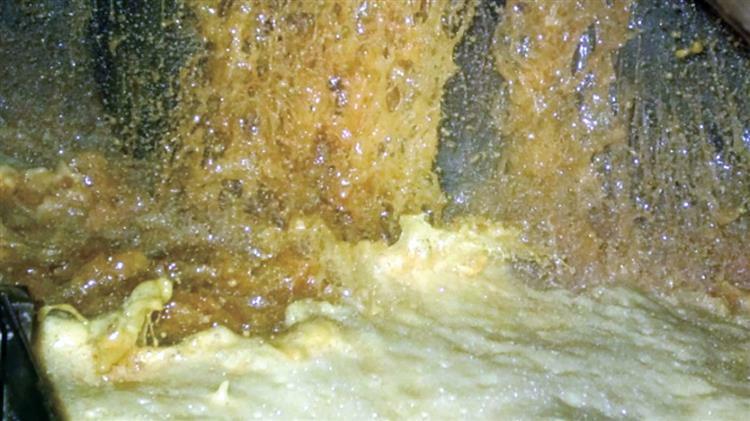 You must also consider contaminant exclusion or eliminating the root causes of contamination. 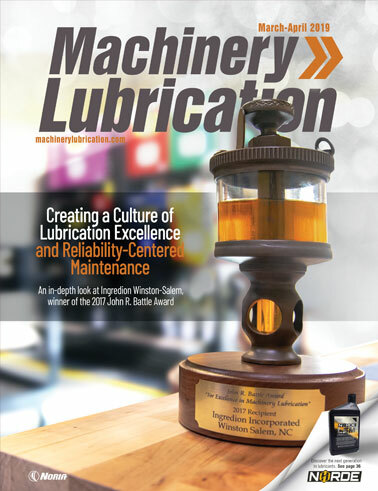 This involves the actions required to clean and preserve the lubricant before it goes into service as well as the modifications and procedures to keep the machine’s lubrication system isolated from contamination sources. These actions include proper filtration. A centrifuge can also help eliminate high concentration levels of contaminants (e.g., free water, dirt and wear debris). Finally, don’t forget to eliminate contaminants that ingress into the in-service lubricant during normal operation. This can be achieved through similar methods and by using the filtration systems installed on the machine. Water contamination may come from a variety of sources, including simple condensation of atmospheric moisture. In turbomachinery, water can produce rust and corrosion, impede oil film production, accelerate adhesive wear, and cause vaporous cavitation. Within the in-service oil, water can lead to acid formation, increased foaming, entrained air, base oil hydrolysis and additive water washing (depletion mechanism). It is also a contributing factor to the formation of sludge and varnish. Water contamination can be measured in the field with inexpensive instruments, such as a crackle test or a calcium hydride kit. In the laboratory, the coulometric Karl Fischer method deploying co-distillation may be used to reduce the risk of additive interference. Again, the best strategy must involve contaminant exclusion and removal. Effective methods for removing water include vacuum dehydration, decantation (purging free water) and centrifugation. A good dryness target may be 250 parts per million or 0.025 percent for turbine oil. Air contamination has two general root causes. The first is related to machine or lubrication system operation where conditions produce high turbulence or low oil residence time in the sump. There may also be an air leak or very low pressure before the oil pump or in the return line. This will generate entrained air, which can lead to foaming. The second root cause involves the lubricant’s condition or health. If a lubricant is contaminated, oxidized or has its anti-foam additive depleted, it will have more aeration problems. Some entrained air in the sump’s return section may be normal due to the machine’s operation. However, air should be considered a contaminant if it affects the lubricant health or machine operation. Air bubbles enhance the fluid’s contact with oxygen, accelerating oxidation and acid formation. These bubbles may also produce microdieseling. Keep in mind that air is not a lubricant, so the oil film can fail in critical points. Cavitation may be the result of air bubbles or vapor imploding where the lubricant pressure increases in the circulating system. Air can also create a potential safety hazard. 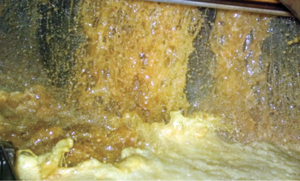 Excess foam may seep out of the system or cause spills that affect safety around the machine. For more on air contamination, see the article on defoamant additives in this issue. A simple field test to monitor lubricant health involves taking an oil sample from the sump and waiting 10 minutes for the foam to dissipate. If a significant amount of foam remains after 10 minutes, it may indicate a concern. Have your laboratory conduct a test to measure the foam tendency and foam stability or perform gas bubble separation. If a warning or alert level is not reported, the issue may be in the system operation. Oil analysis will be necessary to confirm whether the root cause of the air is in the oil. If it’s not, you will need to inspect the entire system carefully to identify excessive churning conditions, verify the oil sump size or detect possible air leaks in the suction or return lines. Heat may be generated by the machine’s environment (ambient heat, steam, combustion, etc. ), normal machine operation or the fluid friction of oil in the lubrication system. Additional heat is produced when there is an abnormal condition in the system, such as an incorrect lubricant, mechanical/operational issues or excessive heat from the production process or environment. The higher the lubricant temperature, the more prone the lubricant is to oxidize and the shorter its life will be. Temperature is also a factor in the generation of varnish and sludge, additive depletion, and the shortening of machine component life. Machines have a range of normal operating temperatures that must be identified and controlled. Temperature transducers, heat guns and thermographic technologies are essential tools for monitoring machine and lubricant temperatures. Other indirect instruments may also be used. It is critical to recognize when abnormal conditions exist and to determine their root cause. Machines must dissipate generated heat to the environment or to cooling systems, so the possible solution will be at this point. The goal is to maintain the operating temperature as low as possible to extend machine and lubricant life. These images show the results of an MPC test on four different oils. The one on the far left is considered to be at the warning level, while the other three are in the critical range. Varnish is the result of a number of factors acting independently or in combination to generate microscopic compounds in the oil. These compounds initially remain dissolved due to the lubricant’s natural solvency properties. However, if the concentration of particles continues to increase, they eventually become insoluble and migrate to machine component surfaces. The insoluble compounds in the oil are referred to as varnish potential. The higher the lubricant’s solvency properties, the more the compounds will remain dissolved without becoming varnish. Also, solvency is highly temperature-dependent. Cool oils and cool machine surfaces are more prone to varnish issues. Several elements influence an oil’s varnish potential, including microdieseling, oil sparking, lubricant oxidation, thermal failure, entrained air and contamination with other lubricants or substances. Depending on the root causes, different types of varnish compounds may be generated. You could say that varnish is just a generic expression of the various possible compounds. Contaminants frequently affect a lubricant’s foam tendency and stability as well as water separability. If you detect more foam than normal or demulsibility issues, it may be an indicator of lubricant contamination. Cross-contamination with other lubricants, solvents, cleaning agents or assembly oils may generate varnish and lubricant performance issues. Contaminant removal methods can also remove some of the oil additives. In most cases, this is not a concern, as the benefit of cleaning the oil is much greater than the potential of additives being removed. Of course, there are exceptions. If possible additive depletion is suspected as a result of purification methods, a study should be conducted with the support of oil analysis. Oil sample contamination can result in a false positive report but is not actually contamination of the in-service lubricant. To confirm oil analysis results, resample and retest. Also, be prepared to interpret the results. Some differences can be expected due to the various factors involved in testing protocols. Synthetic lubricants may offer better options for resisting higher operating temperatures, reducing fluid friction and providing better solubility. 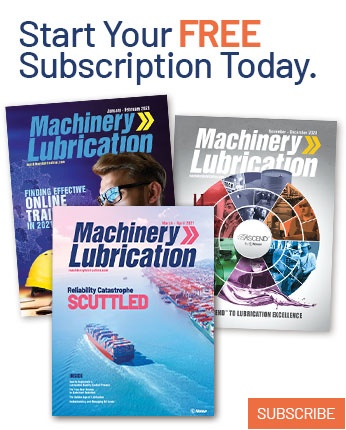 Varnish may be deposited in several components within the lubrication system and can reduce heat-transfer properties, produce filter plugging, decrease lubricant film thickness, lessen flow rates or cause obstruction of lubrication lines or valves. Membrane patch colorimetry (MPC) is a common test used to monitor varnish potential. It reports the concentration of varnish potential by color and provides a score. Other tests that can identify or characterize varnish include ultracentrifugation and FTIR. Your first course of action should be to determine the root causes of varnish in order to eliminate or minimize them. A formal root cause analysis may be needed along with exception laboratory tests to measure the concentration of varnish and to characterize its type. There are also products available to help correct the problem, although they may not eliminate the root cause. These include detergent additives, base oils that enhance lubricant solvency and high-quality oils such as polyglycols. Regardless of the type of contamination, the lubricant should be kept clean, cool and dry. It must also be applied in the right place, in the right amount and at the right frequency. If all of these goals are maintained consistently, you will be better able to maximize the performance and lifespan of your turbomachinery.